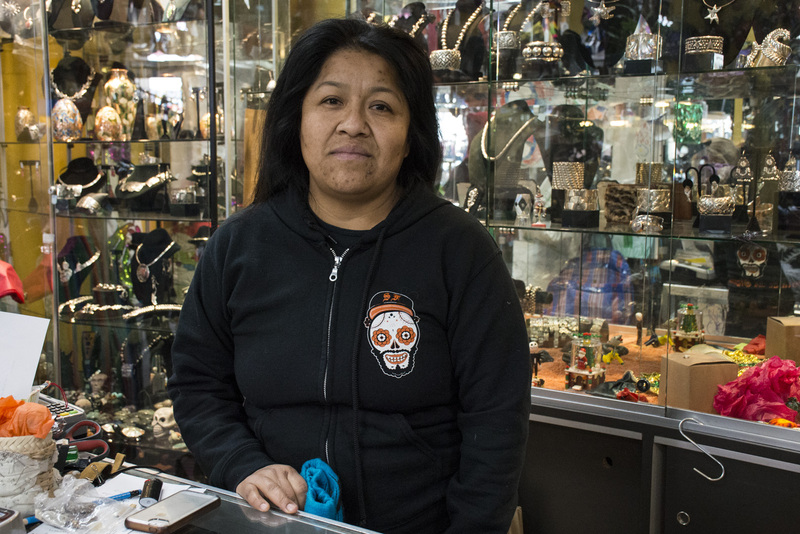 Merchants along the 24th Street corridor where a new proposal seeks to protect them feel the city’s affordability crisis just as strongly as tenants fearing displacement, but their views on how to remedy it are as varied as their wares. District 9 Supervisor Hillary Ronen’s first proposed legislation offered a trio of land-use based protections for businesses on 24th Street that were developed in a year-long collaboration between the city and community based organizations on the 24th Street corridor. Though only about 15 of some 150 storefronts on 24th Street were inactive as of a recent count, many merchants in the neighborhood note how difficult it is to keep small businesses alive, even in a time of relative economic boom. These protections would add an additional permitting hurdle for businesses combining two smaller storefronts or displacing a legacy business. Ronen’s proposal would also limit the concentration of bars and restaurants in the area. In an informal survey of 10 business owners along 24th Street, many expressed support for the principle of keeping a diverse mix of businesses on the corridor and limiting storefront mergers, but additional concerns remain. Jaime Maldonado, who owns La Victoria Bakery, was one of many 24th Street constituents who helped develop the protections. One of the forces driving rents up along the street, he said, is realtors making promises to landlords about how they could increase their rent income – by asking older businesses to leave and by combining small storefronts into bigger ones attractive to businesses backed by venture capital and other investors. In 2015, merchants on the corridor successfully pushed for a temporary moratorium on storefront mergers, citing the example of a bookstore adjacent to St. Peter’s Catholic Church and an indigenous arts store that were nearly evicted when investors offered the Archdiocese of San Francisco $100,000 to replace the tenants with a high-end restaurant. A new arrival with plenty of capital that rents an enormous space at a high price, Maldonado said, also drives up the normal rents in the area. Thompson, like Maldonado, pointed to the aftermath of capital-rich new arrivals that go bust. When they do go, high-end businesses for which storefronts were combined leave behind huge empty spaces – upscale French restaurant Sous Beurre Kitchen, often cited as an example of the combined storefront problem, closed in May 2016. The spaces remain combined into two, with a beer taproom opening at that address. Some are more cautious in their support for Ronen’s proposal. “I’m not afraid of changes. You always have to improve and do more, that is our obligation [as businesses],” said Diana Medina, who owns Diju Jewelry. Self-improvement and adaptation are the key to her survival, Medina said. She doesn’t necessarily oppose change or new businesses, even expensive restaurants, but she does oppose astronomical rent hikes and kicking out small, long-established businesses to insert them. Over at Pop’s Bar, owner Tom Tierney also supported the proposed protections, with the caveat that they be applied fairly. He also worried that if the additional scrutiny added too long a delay to the opening timeline, that hurdle would be too great for some new businesses to pass. Connie Rivera has a different problem: After 13 years in business, she doesn’t meet the standards for a legacy business, though she would love to have the protection that being one affords. “I think it’s great, but I’m not a legacy business,” she said. But she sees the sense in the restrictions, because she knows what it’s like to compete for space with businesses that have more money. “We need something like that, especially here on 24th. It’s hard to open and start a small business, and it’s sad and disappointing when a new business with major capital comes in and says, ‘I want to do this small business here’ without thinking about [the neighborhood],” she said. Rivera said early in the life of her business, she was being considered to rent the former Discolandia space that most recently housed Pig & Pie, a restaurant that opened in 2012 and closed July 2016, but was beat out by another tenant with much more capital. What would really be useful to Rivera, she said, would be a merchants’ association review of incoming businesses that compares the proposed shop with what’s already there. There is also some fatigue with city government in general. “In a year, we will have a $15 minimum wage, that they say is to help people who live in the city. If you look at the bridges, you can see all the people coming from all over to work in the city,” said Francisco Cerda, who owns the House of Color. Cerda said he is still in business only because his family owns the property the paint store is housed in. He was supportive of the land use protections, but skeptical of the city’s tax, minimum wage, and regulatory burden on small businesses. “If they lower the burden, you’re going to have a much better economy than taxing everybody left and right,” he said. Salvador Vazquez, the owner of La Gallinita, also owes his businesses’ longevity – 45 years on 24th Street, and 11 years before that on 23rd and Bryant – to the fact that he owns the building. He is fed up with city meddling and suspected new restrictions wouldn’t stop capital-backed businesses anyway. “It’s just getting out of hand,” he said when asked about additional permitting processes for new businesses. “It was difficult for me to start many years ago, but if [newcomers] want to open up a business and they have the money, they couldn’t care less. Like our new president,” Vazquez said. But what about those who don’t have the money? Martha Ruiz de la Peña, the owner of the natural foods store Five Markets, said she worries about stereotyping that newcomers must necessarily be wealthy or ill-intentioned. While she would oppose a huge corporate franchise moving in, she wasn’t ready to add hurdles for everyone.